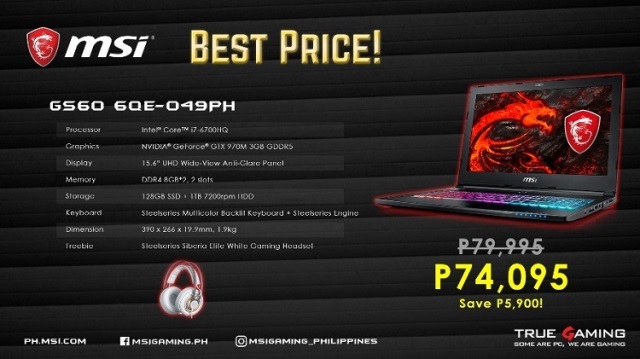 In partnership with PC Express, MSI treats consumers with its Clearance Sale V2.0 happening in PC Express Gilmore branch starting today, October 5 to October 7, 2018. 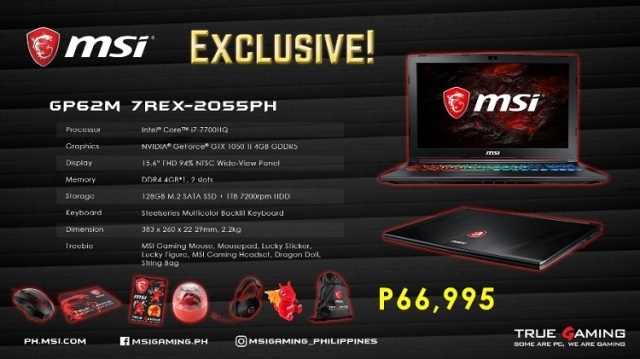 Through this promo, consumers will get the MSI Gaming Laptops at cheaper price tags with up to 45% discounts, while it will also come with cool freebies! 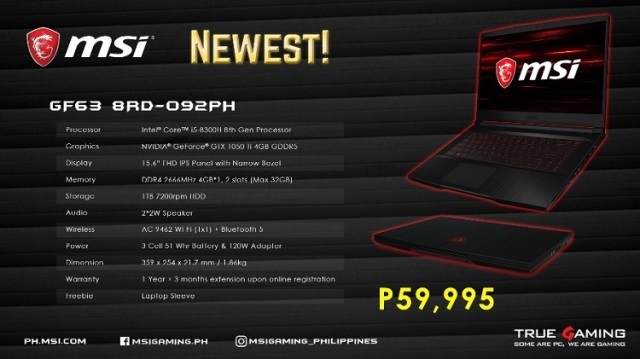 The company also announced a free laptop cleaning, and raffle draws that include 6 sets of Camo bundle, (4) Php5,000 worth of discount vouchers, and an MSI Gaming Laptop as a grand prize. Sounds exciting, isn’t it? You can also join its Tekken 7 mini-tournament to win various MSI prizes. In addition, those who buy an item during the sale will get an entry to the raffle draw for a chance to win exciting prizes mentioned a while back. The winners will be announced on the last day of the event at 3:30 P.M. Winners must also be present at the time of the announcement. Consumers can also play games such as Monster Hunter World, Tekken 7, NBA 2K18, Shadow of Tom Raider, and Forza.